Hayward PVC Vacuum Breakers prevent suction and vacuum from destroying plumbing devices. 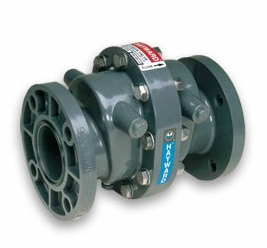 Backflow Prevention: Hayward Wafer Check Valves prevent reversal of flow in piping systems. They are ideal where backflow could potentially cause damage to pumps, filters, or process equipment. 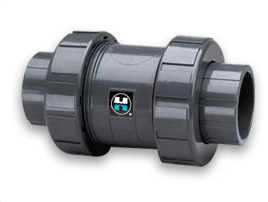 Easy Installation: Hayward Wafer Check Valves are light weight and designed for easy installation. The valve’s wafer body slips between standard flanges and can be used in either vertical or horizontal operation**. Reliable Operation: Hayward Wafer Check Valves operate without the need for any adjustments or settings. 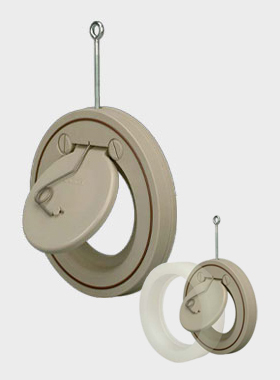 The valves plastic disc, with replaceable O-ring seals, is designed to provide a bubble-tight flow shutoff. When inlet flow stops, back pressure* moves the disc with its O-ring seal into the valves plastic body-shutting-off the flow. 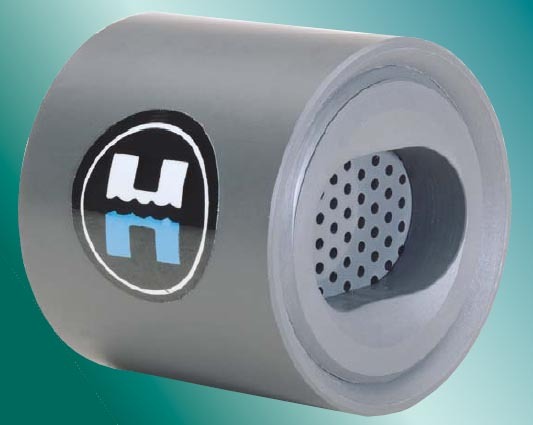 Two Available Models: Hayward Wafer Check Valves are available in two types. A lower cost version without a disc spring is available for applications where it is not desirable for the process stream to come in contact with metals. A version with disc spring is recommended for pulsating flow and horizontal piping applications where faster disc closure is required to reduce the amount of backflow and possible water hammer. No Corrosion: All-plastic construction of Hayward Wafer Check Valves ensures these valves will never jam or stick because of rust or corrosion. They will not contaminate sensitive process fluids they come in contact with, and require no painting or coating to stand up to corrosive environments.